Do you want to see an increase in engagement that comes with posting social media content? If so the question is what kind of social media content types evokes that kind of reaction from your audience? What kind of content gives you the most return on investment and engagement? Let’s look at social media content types that have proven to win. In this post I will show you the 9 visual social media content types that will give you the greatest value. Behind-the-scenes access is a huge draw for 87% of audiences, who would prefer to watch online vs. on traditional television if it meant more behind-the-scenes content. Take Tough Mudder for example. They did a livestream of a coaching session by Coach T.Mud. Short promotions of Tough Mudder training programs and other materials. After livestreaming on Facebook you can choose to allow others to have access to it. This will allow those who weren’t able to make it to the event, to view your content at a later time. You can also promote an offer during the livestream. This will help boost your lead generation efforts. You can direct them to a special landing page that you can share with viewers in the comment section. User Generated Content (UGC) is a great way to increase engagement and organic reach. 92% of consumers worldwide say they trust word-of-mouth more than advertising. 46% trust online reviews posted by other customers. In comparison, only 10% trust banner ads on websites. The advantage of UGC is that you can depend on others to create the content. But you will still need to collect, curate and publish the content. Helping new and existing users trust you. They will be able to see that you care about your users. That you are willing to engage with them, thereby increasing the trust they place on your brand. Go Pro uses UGC quite well. For examples check out these posts they reposted on their Instagram feed. 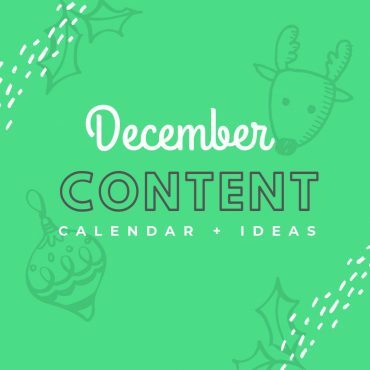 Tip: Run social media contests to capture content in a short time frame. For example National Geographic and MySwitzerland partnered on a UGC contest. They joined forces to promote Switzerland as a travel destination. Participants posted their instagram photos with the hashtag #LoveSwitzerlandContest. The contest generated thousands of posts and had 70% of the visitors click the through to view more trip ideas. According to SlideShare, infographics have more virality than presentations and documents. More recently the team at SumoMe crunched the numbers from over 100 million articles. and found that infographics received the most shares. This is not surprising. We know that adding images to text makes your content 25% more comprehensible. Such content is also far more engaging and persuasive. A range of topics can be explained with infographics. Especially subjects that contain data, research, stats, and other numerical information. But, it does take creativity and effort to create awesome, shareworthy infographics. Both the information contained and the delivery need to be top notch. Traditionally to create infographics you would need to be a Photoshop whiz or a graphic designer. Or you could hire someone from sites like Upwork or Behance. But now a days you could create one with online tools like Easil. Tip: Make your infographics come to life with animation. Take for example the animated infographic below. It is a great example of how effective adding a little animation can be. Have you’ve been on social media for sometime? If so chances are that you would have seen a bunch of curious, interesting or humorous GIFs doing the rounds. In fact animated GIFs are almost the staple currency of social media humor today. Giphy has 100 million daily active users who request a GIF from one of its mediums each day. Giphy also serves more than 1 billion animated GIFs on a daily basis. So why do people use GIFs? Animated GIFs are not static but they’re not as long as videos usually are. In other words they are easy to share and consume. Animated GIFs are generally funny and that gives virality of content a boost. If you are looking at a GIF then it is usually about something that is trending. Think New Year’s day, Super Bowl, Valentine’s day etc. NASA regularly makes use of animated GIFs on social media. For example the landing sites for the Mars 2020 rover was tweeted like below. These not only catch the eye of their audience, they also provide value without having to click on the link. To create custom animated GIF’s checkout the tutorial. It uses a combination of ScreenFlow and Photoshop. More than a third of Snapchat’s daily users use the stories feature to broadcast what they getting up to. Snapchat claims its users watch 10 billion videos per day, which is largely thanks Stories. In other words, you have 10 billion daily opportunities to build awareness of your brand. It is authenticity and spontaneity that make Snapchat a prime marketing opportunity. But it is also the reason so many businesses feel intimidated by it. Because the platform allows you to invite your audience into your world. By doing so you get to engage with them and even get a peek into your audience’s life. Offer special promotions within the snap. You could post a discount code for flash sales or ask people to screenshot a picture to go into a draw. This makes the message more personal than email and can cause users to linger on the offer. Users will also be more inclined to browse through your site and offers. Give your fans and followers a chance to see you and your team as normal everyday people that they can relate to. Use your Snapchat story to show your followers the journey and effort that goes into what you offer. Take Arsenal football club for example. It encourages its Twitter followers to engage with them on Snapchat. So that they get access to more behind the scenes action. See you soon, @FCBayern ?? Going to a seminar? An event? Doing a product reveal? Consider live snapping or posting content updates on a live event. It will allow you to start conversations around the event/product/promotion. Snap it! Show your followers where you are and how you are involved and growing outside of the office. Keep them up-to-date on what you are promoting and working on. Snapchat for example made its Spectacles available. As a result many Snapchatters are sharing their experience like this one. If you are heading to an event or conference why not partner with another business. This will give you both the chance to share your experiences while playing off each other. Because the focus isn’t just on you and it gives you the chance to gain more followers. Have the business you partner with put their handle on your snap story. Have them do the same for a win-win. The concept of using pictures to understand concepts and data has been around for a very long time. The 17th century for example saw the use of maps and charts. The way the human brain processes information makes the use of visuals a no-brainer. After all it makes content comprehension easier. Explaining key concepts or complex data is a lot easier with visuals. This as opposed to pouring over reports and volumes of data. Now, take this data visualization that the BBC put together for example. It shares insights into the premier league match goals. One of the simplest yet effective data visualizations comes from Google Trends. It fills the screen with live trends. When you click on the text you’re taken to Google search page for that keyword. Concept visualizations unlike data visualizations tend to focus on illustrating a single idea. They are therefore smaller, easier to digest and much cheaper than creating infographics. The gaping void uses sketches like this one to explain concepts. In this case the working of collaboration and competition. Rand Fishkin shared this tweet to help answer a question on gerrymandering. Use concept visualizations to educate and inform like this tweet. Answer questions like how many visitors did your website get. Effectively and efficiently communicate something like website traffic has increased. Discover new information. For example fact that most visitors went straight to the about page. Objectify an argument, i.e. this data is why we should invest more in our about page. People often don’t think of audio content as being the kind of content that is shareable on social media. While it has been around for a long time it is catching on thanks to technological advances. Podcast growth is being driven by mobility. 64% of podcasts are being listened to on a smartphone or tablet. Weekly podcast listeners consume about five shows per week on average. Jimmy Falon for example shares recordings on Facebook like this one. Create a video file with static image and the audio file and then upload to the social media platform. This way your audience will be able to listen to the podcast without having to leave the platform. The use of interactive content is on the rise. In fact 53% of marketers surveyed say they use interactive content. The main aim of using interactive content is education and engagement. Because content marketing has become less about the words on a page. Instead it is more about the experience you create for your audience. CMI’s research supports this trend. 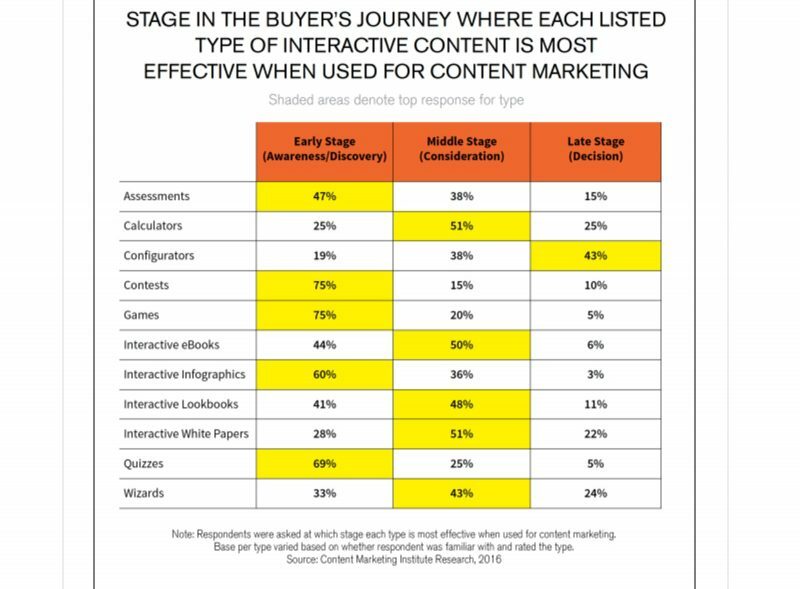 According to them interactive content pieces are being used at various stages of the buying cycle. 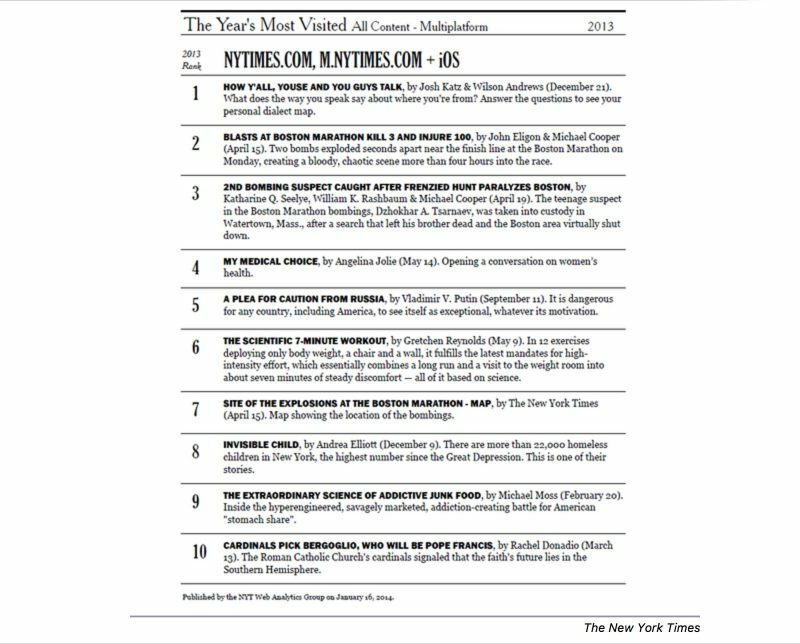 In 2013 the most popular article on the New York Times was not an article but a quiz. Buzzfeed has since come to realize the value of quizzes and has devoted a section of their site to it. Plan for your content to be viewed on a mobile device. Use responsive interactive quizzes, polls or assessments. This will allow you to engage them on the go. Better integrate lead capture into your blog posts. Embed lead capture into your content and ensure it’s hyper relevant to the blog itself. Make your social media content more shareable. Consider using helpful calculators or persona assessments with fun results. These help trigger the desire to share with our followers. Turn a passive experience into an active experience. For example, incorporate interactive elements into a video. Include hotspots, questions, calculations, lead generation and more. Fuel your CRM with valuable data from surveys, polls, quizzes etc. Personalization is not limited to email. Knowing the goals and aims of your prospects allows you to adjust content to be more specific to them. Strengthen engagement, entertain and excite your customers. How? Use fun personality quizzes, trivia and assessments. Break larger assets into small more snackable portions. You could do this with interactive infographics or product pickers. Repurpose content to increase its life and effectiveness. How? By layering interactivity on them. This will also help determine what formats your audience responds best to. Newsworthy content always has been popular. Data from research by Fractl and Buzzstream show this to be the case. If this is the case then it would seem that news outlets have an advantage over others. Because it is hard to be a source of breaking news as it happens. Unless you are a big news organization like the ABC, BBC or CNN. These organizations have reporters and vast resources at its disposal. This makes it hard to compete against them. Having said that you could have a profitable niche site that focuses on a very particular segment of news. Think – Mac Rumors, Verge or Search engine roundtable. Why is it that most businesses focus on long form content rather than news articles? Because news articles by businesses are considered as “what” type posts. They do not fare so well from a social sharing point of view. Articles in the news, technology and entertainment verticals tend to do better. To make the most of this post type use tools like Google Alerts to stay on top of industry news and trends. These topics are likely to capture your audience’s attention. You can also touch on trends from other industries that are also relevant to your audience. For example, is there a politician, brand, or celebrity in the spotlight? If so spin current events into posts that will resonate with your audience. A better alternative would be to undertake original research and data. The bad news is that you’ll actually have to make the effort to produce useful data. However, the pay off is worth it. For example take CoSchedule’s findings from analyzing one million headlines. What if you don’t have the resources to get into that kind of research? You could summarize the findings of others. Like Authority Nutrition did with this post. Or consider sharing case studies based on your or your clients experiences. They too count as research as long as concrete numbers and tangible results are provided. Tip: Research can also be combined with other types of blog content on this list. For example, providing the same data in the form of an infographic is a powerful way to make it even more effective. They provide further information on a specific topic. Many of these articles provide insights or are comparisons of one thing to another. People just starting out with a website may not know where to start. What metrics are important and how you should improve on them. So a post on the numbers/metrics to watch can be very helpful. Have you tested out new tools, say to help with your email marketing and marketing automation? Talk about your experiences with them. Share your insights on whether they have helped move the needle in key areas of your business. Include screenshots to help with the explanations. For example Bryan Harris did something similar as he compared email marketing solutions. These posts offer a solution to a problem they address. They also discuss the details around each step required to reach the desired result. Providing high-value, unique content is the key to success with how-to articles. As a first step, you need to identify a problem that your audience has. Something that a lot of people within your industry struggle with. The more people you can help, the better. Once you’ve found an issue, offer a step-by-step guide on how to solve it. Be as thorough as you can be and provide clear steps. The more complete your solution, the more worthy of sharing it is. For example, you could take the best of what is available on a topic and add to it. 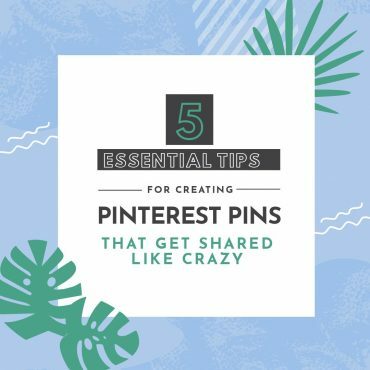 In other words, create high-value, comprehensive posts. You are then not just able to cover every aspect of the topic but also wow your audience. Blog Tyrant’s 9000 word-strong Ultimate Guide on How to Start a Blog is an example. Tip: When possible, supplement your guide with images, videos, graphics and various other types of visual media. This form of content provides the audience with dynamic visuals of the topic you address. The number of posted images and videos is climbing steadily. Take the Dollar Shave Club for example. They launched with a fun video that captured the attention of people and brought in sales. Videos are a great way to share information and communicate with your audience. It’s also a great way to show off your personality, while also packing them chock full of information. One of the challenges of creating a video like the one above is the cost and resources required. But you can produce videos without as much of a cost or resources. Most cell phones have decent cameras. There is also free or affordable video editing software (such as Camtasia) out there. Keep in mind that they don’t have to be long. In fact, the shorter and more concise, the better. You could also cut hosting costs by putting them up on YouTube or Vimeo. Doing so will also send a positive social signal to Google. Tip: When publishing videos on your site, provide some context with a short blog post or include a transcript. These provide readers with a reason or purpose. They also provide details that support a focused conclusion. Why should someone back up their site regularly? Why is it important to add something to your espresso in less than 8 seconds? How questions give knowledge. Why questions help give wisdom. Share your wisdom and answer the why questions. Derek Halpern of socialtriggers.com does this quite well with posts like this one. 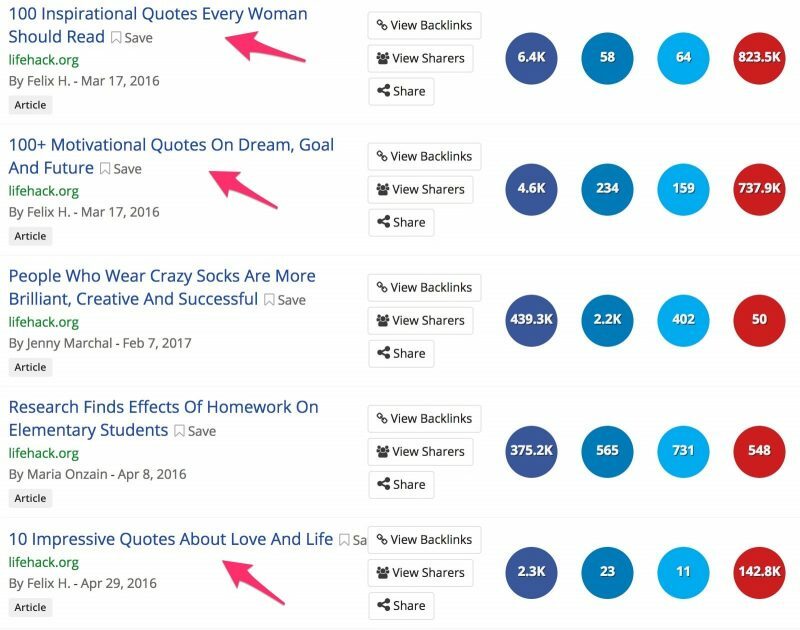 Derek gained quite a bit of traffic with his post – The content is king myth debunked. 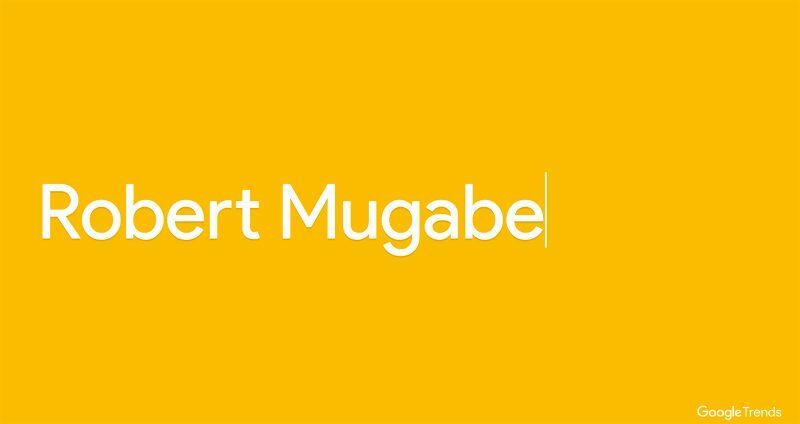 In the post he makes the case for design being king as opposed to content. It was one of his most shared and commented-on posts. You should be aware that if you do write a controversial post, not everyone will be happy with the stance you take. Chances are that you’ll likely receive some angry comments. Especially from those with an opposing viewpoint. So if you don’t have thick skin or a therapist you can call on, this post type may not be for you. These posts are focused on a specific topic and offer many associated points on the topic. People love lists almost as much as they love infographics. Why? Because lists promise a measurable return of investment. They also present information in an easily digestible form. A list headline is hard not to click as it creates a bit of curiosity. This article is proof. These articles tend to be popular with readers because they are easy to scan through. Thus making it easy for the reader to quickly find segments relevant to them. To provide value to your audience be sure to pack your content with a lot of informative value. Alternatively you could make it entertaining. Like a Buzzfeed article to rake in heaps of social shares. Be honest. Will your audience care about your “Good Ways to Get More Customers”? But what, if you promise them – “How to Find the First 100 Customers For Your Startup”? Chances are that they’ll be all ears. Having said that don’t just list things without any comment. Discuss and justify each point, even if only briefly. It’ll provide more value for your audience. Tip: If you’re going to do up a list article with a number in the headline then pick an even number like 10, 20 or 100. You can read about the “Top-10 Effect” here. We know that if your social media content doesn’t evoke emotions then it won’t get shared as much. But what sort of emotions help boost the sharing of your content? According to research it is content that evokes positive emotions. For example the most shared type of content on Lifehack are inspirational quotes. 89% more favorites than those without. A study by Adobe also found that Facebook posts with images produce 650% higher engagement than regular text posts. Quite simply our brains love images. So when you use them on social media it attracts your eyes. You examine it for longer, are likely to engage with it and share it. Take for example this post on BuzzFeed that uses a few visual content types to engage readers. So now that we know the most shareable types of visual social media content what do you do? You could try them out on your social media channels. But before you post anything. I would suggest first learning about your audience and what they want. Sure, we may know of certain content types having worked well in certain instances and have the data to prove it. It however does not mean it will give you the same results. Need help with developing social media content? 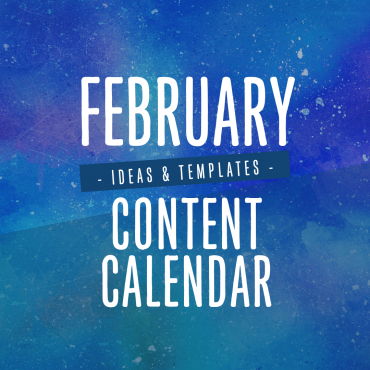 Contact us to receive your free guide to 128 types of content to fill up your editorial calendar.